Plug the RFID module into Tessel port A with the hexagon/icon side down and the electrical components on the top, then plug Tessel into your computer via USB. Install by typing npm install rfid-pn532 into the command line. then logs its UID to the console. In your command line, t2 run rfid.js Tap the included RFID card on the reader to get its UID! 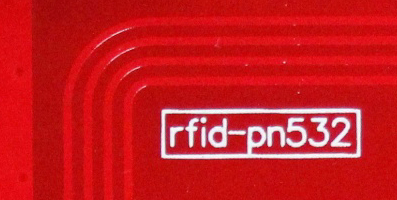 To see what else you can do with the RFID module, see the module docs here. What else can you do with a RFID module? Try a community-created project. If you run into any issues you can check out the rfid forums.